You’re driving down the road, paying attention when all of a sudden someone darts in front of your vehicle. You slam on the brakes but it’s too late and you hit the person. Although you hit the person, you were following the rules of the road. Are you automatically responsible for the accident? According to the Centers for Disease Control and Prevention, each year at least one pedestrian is killed every two hours in accidents involving motor vehicles. In 2014 alone, 4,735 pedestrians were killed and more than 150,000 were treated for injuries in car crashes. In fact, pedestrians are more likely to be killed in a car crash than a passenger in the vehicle. However, we all know that accidents are not this cut and dry. 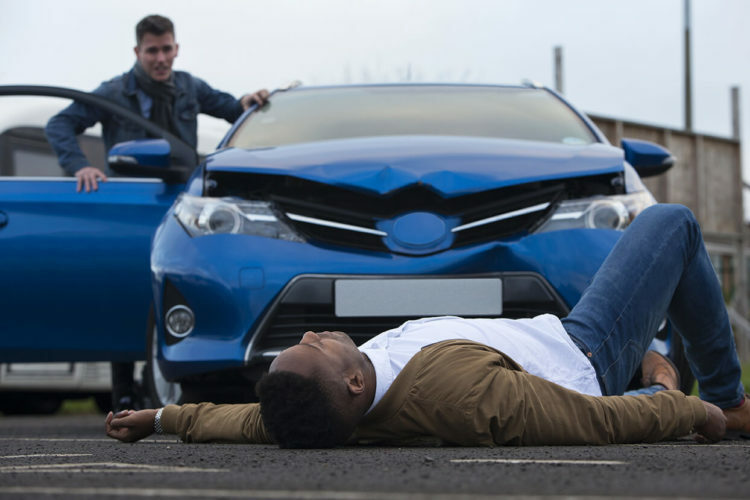 Many times the fault doesn’t just lie on one person alone – both parties could be to blame for the accident. Texas happens to be a modified comparative state. This means that it follows the 51% Bar Rule: When a damaged party is 51% or more at fault for the accident, he/she cannot recover damages. If the party is less than 50% at fault for the accident, then he/she can recover but that amount will be reduced by its degree of fault. Getting into a car accident can be a stressful and nerve-racking time, especially if a pedestrian is involved. But before talking to your insurance company, you may want to speak with an experienced personal injury lawyer who can help you with your case. Contact a Houston car accident lawyer at de Lachica Law Firm, PLLC, today for a free consultation.